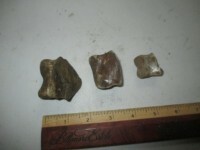 Description of item : 1-10 10 Extremely rare Top Quality 100% Natural Ankylosaur Rooted Teeth. Some of pics show 8 teeth but I sold 6 already. So I have 2 teeth.- I never see these. All have great shape, ungulations, lines, and overall pattern with no resto or crack fills. This was ided by one of top paleontologists from a Northern Montana Museum for this rare species. Teeth are real rare. These will sell so fast due to rareness and quality. I will pick best one as sold to send . Once all sold entry is deleted . 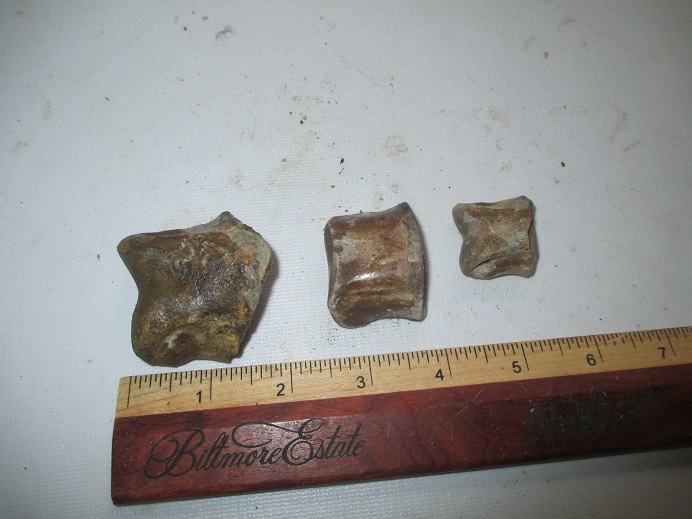 Description of item : 1-10 9 Fine Quality Complete Ankylosaur Body Scute 3” x 2”. 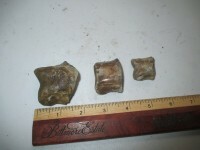 This is a partial large scute and most scutes go for over $400 .Very Rare Ankylosaur Body Scute don’t come around often . It has great shape, ungulations, lines, and overall pattern with only crack fills. It will add value also as few are found. This is a real deal . 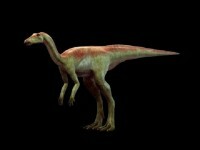 Species description: Believed Smaller than Edmontosaurus as only a few fossils and partial skull have been found. The beak is missing so fossils of this animal hardly exist with no complete or close to complete skull or skeleton . It has a rectangular maxilla and the crest is that of a flab or Flange of bone from the nasals that rises between and above the eyes and folds back . This distinquishes from Gryposaurus . It was only found some parts in Texas and New Mexico. We know so little about this creature it’s amazing to have fossils of this It was similar to some hardosaurs is all we know and discovered small pieces in 1904 by Barnum Brown. Item rating and description:1-10 *9.8* For rareness and Quality . 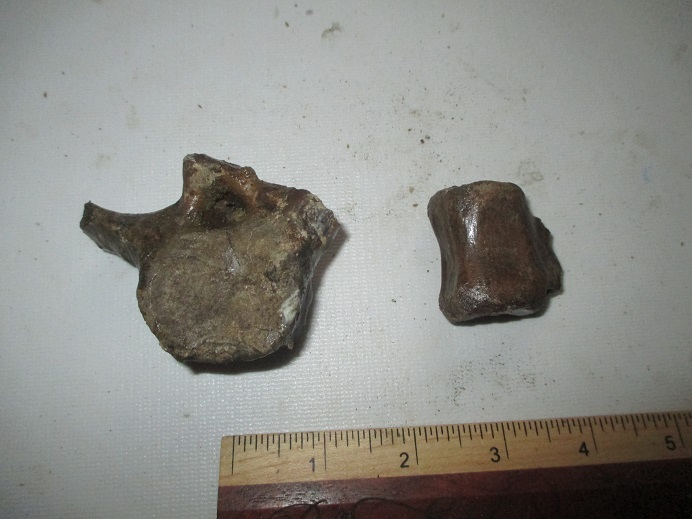 It just doesn’t get any better than this .The rarest Hadrosaur around called Kritosaurus 2 Perfect Toebones -1- 3inches 1-2.25” with no work done . These are all natural with no crack fills of anything done except sealed. The toebones are amazing and few people have these and while similar they are different from an Edmontosaurus . Its small but valuable. Remember hardly any complete bones of this animal including skull have been found. Google it . Nothing available. There are totally original, complete and perfect. Both were found whole which is amazing in itself. These are one of rarest items you will buy and Ided by an expert. It was whole with no breaks through it at all. Just having these no matter the condition is amazing, but to have perfect whole bones just isn’t available / Take a look. It’s for a top collector or anyone who wants something that is one or two of a kind here .These are top premium spectacular toebones. These are only ones I have and will have I promise. I never had these before. I won’t have these again so jump on these .So totally original, super shape, nice color with black, brown color. It doesn’t get rarer than this dinosaur so please remember. Anyone likes these no matter if your just starting or to museums. It’s at a super low price. This is a gift as it costs me this much to buy. This was sealed 3 inches deep which accounts for shine, which is only a thin glue but it stabilizes so never breakage. This is a must for a collector. What a specimen. Great price. Edmontosaurus toebones go for this so here it is. 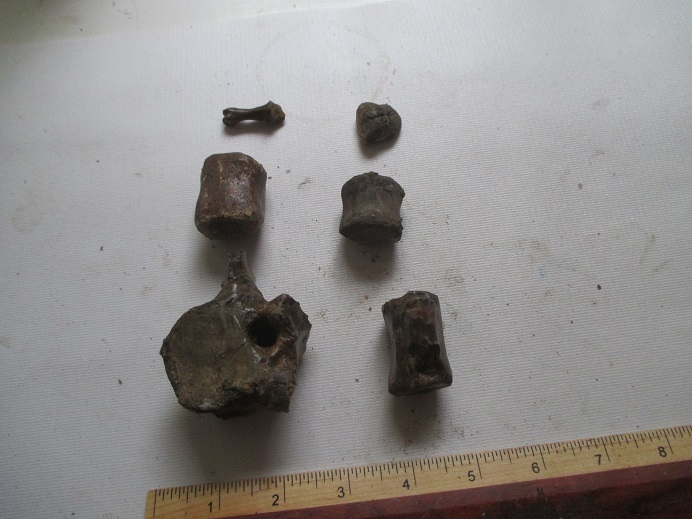 Description of item: 1-10 9 Lots of bones to start a collection Splendid Thescelosaurus Vertebrae plus claw and phalanges , and alligator bones all 65.5 Million years old . All detail is superb and shape is great on all of these . The claw alone is worth almost as much as I’m asking even though the claw.is a little worn at spots. So all original 8 Thescelosaurus bones and 5 Alligator bones. This is for a collector to get started or one who doesn’t have lots of funds to put in something larger. It’s to help educate all persons on what they look like. These are not real common full verts even though less expensive .Wow grab this one up –just see the pics and you will want it at a low price as close to what I paid. 8 are verts some with processess and rest much more valuable like claws and toebones . The claw plus the toebone together are worth $250 dollars so rest is a gift. 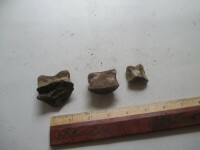 Description of item: 1-12 11 Splendid Thescelosaurus 2 Toebones . It’s detail is superb and shape is great . On the large one a sliver of back was shaved away millions of years ago This is for a collector to get started or one who doesn’t have lots of funds to put in something larger. It’s to help educate all persons on what they look like. These are not real common even though less expensive .Wow grab this one up –just see the pics and you will want it at a low price as close to what I paid. The pictures show 3 bones but last one is a pachy so I make mistakes now and then if I rush Just the first 2 on pics ILl throw in some alligator 65 million year old items also .